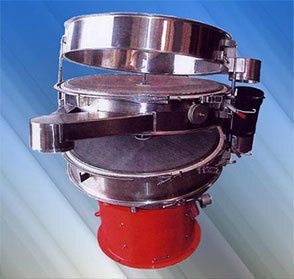 Our Sister Company Sifter Parts & Service Inc. is the current manufacturer of the model CS-1 gyratory sifter, formally known as the Allis Chalmer, Ferrell Ross, or Blunt gyratory sifter. 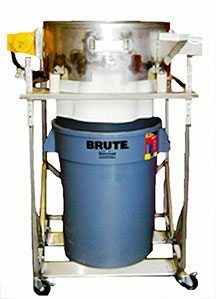 The CS-1 Sifter is an all metal machine capable of providing from one to four separations of any dry product from 1/4 inch down to 400 mesh. The gyratory motion of the sifter provides a passive, gentle screening while keeping the product in contact with the screen at all times for maxi-mum capacity. 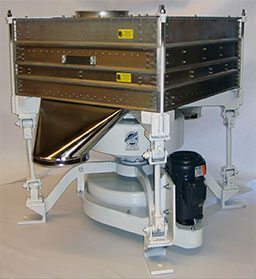 The sifter has the ability to screen up to 50,000 pounds per hour. The CS-1 can provide from 10 square feet of screening surface up to 35 square feet all in a 4′ x 4′ foot- print. 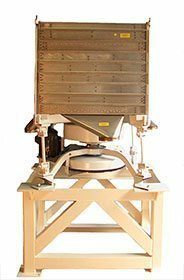 AFF’s new all stainless steel Portable Reclaim Sifter incorporates many innovations to make this your easiest and most efficient tool to sift small batches of dry product. It can be operated sitting on top of a heavy duty plastic container or 55 gal. drum, or using the optional adjustable rolling base. A variable force motor, counterweights, and oversized rubber vibration dampeners mean quiet operation. A custom RCN output dust chute allows easy changes between collection containers. One framed screen, the overs spout with sliding shut-off door, and two container shelves included. 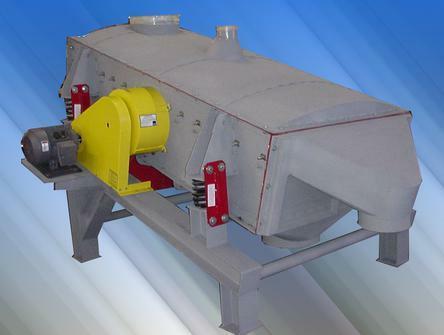 Round Vibratory Sifters are used in many applications requiring light duty screening. They utilize horizontal screens that are typically mounted over a backing wire to hold screen cleaners. The motor imparts a short back and forth linear and vertical motion to the screens. They are an inexpensive option that is compact and ideal for spaces where a small inline unit is required. Each circular screener is custom assembled from our wide array of options, to match your particular requirement. Call us today to begin working on your custom quote! Vibrating Shaker screens are used in a wide range of applications including asphalt reclaiming, cement production and grain processing. They are rugged and can be sized to fit most feed rates. There are a number of options available that we can tailor to your needs. Call us today to begin working on your custom quote!